ADULT FEMALES KEY Author: Rueda, L. M. Key to identification of female adult Phlebotomine sand fly genera of the New World (SOUTHCOM). ADULT MALES KEY Author: Rueda, L. M. Key to identification of male adult Phlebotomine sand fly genera of the New World (SOUTHCOM). 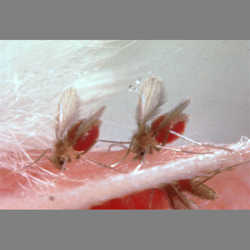 ADULT FEMALES KEY Author: Rueda, L. M. Identification key to the Phlebotomine sand fly subgenera, adult females (SOUTHCOM). 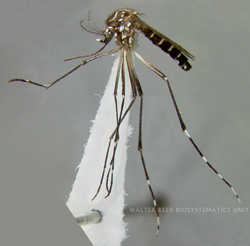 ADULT MALES KEY Author: Rueda, L. M. Identification key to the Phlebotomine sand fly subgenera, adult males (SOUTHCOM). ADULT FEMALES KEY Author: Rueda, L. M. Identification key to the species of Lutzomyia subgenus Dampfomyia adult sand flies in the SOUTHCOM Neotropical region, with emphasis on medically important species. ADULT MALES KEY Author: Rueda, L. M. Identification key to the species of Lutzomyia subgenus Dampfomyia adult sand flies in the SOUTHCOM Neotropical region, with emphasis on medically important species. ADULT FEMALES KEY Author: Rueda, L. M. Identification key to the species of Lutzomyia subgenus Evandromyia adult sand flies in the SOUTHCOM Neotropical region, with emphasis on medically important species. ADULT MALES KEY Author: Rueda, L. M. Identification key to the species of Lutzomyia subgenus Evandromyia adult sand flies in the SOUTHCOM Neotropical region, with emphasis on medically important species. ADULT FEMALES KEY Author: Rueda, L. M. Identification key to the species of Lutzomyia subgenus Helcocyrtomyia adult sand flies in the SOUTHCOM Neotropical region, with emphasis on medically important species. ADULT MALES KEY Author: Rueda, L. M. Identification key to the species of Lutzomyia subgenus Helcocyrtomyia adult sand flies in the SOUTHCOM Neotropical region, with emphasis on medically important species. ADULT FEMALES KEY Author: Rueda, L. M. Identification key to the species of Lutzomyia subgenus Lutzomyia adult sand flies in the SOUTHCOM Neotropical region, with emphasis on medically important species. ADULT MALES KEY Author: Rueda, L. M. Identification key to the species of Lutzomyia subgenus Lutzomyia adult sand flies in the SOUTHCOM Neotropical region, with emphasis on medically important species. ADULT FEMALES KEY Author: Rueda, L. M. Identification key to the species of Lutzomyia subgenus Nyssomyia adult sand flies in the SOUTHCOM Neotropical region, with emphasis on medically important species. ADULT MALES KEY Author: Rueda, L. M. Identification key to the species of Lutzomyia subgenus Nyssomyia adult sand flies in the SOUTHCOM Neotropical region, with emphasis on medically important species. ADULT FEMALES KEY Author: Rueda, L. M. Identification key to the species of Lutzomyia subgenus Pintomyia adult sand flies in the SOUTHCOM Neotropical region, with emphasis on medically important species. ADULT MALES KEY Author: Rueda, L. M. Identification key to the species of Lutzomyia subgenus Pintomyia adult sand flies in the SOUTHCOM Neotropical region, with emphasis on medically important species. ADULT MALES KEY Author: Rueda, L. M. Identification key to the species of Lutzomyia subgenus Psathyromyia adult male sand flies in the SOUTHCOM Neotropical region, with emphasis on medically important species. ADULT FEMALES KEY Author: Rueda, L. M. Identification key to the species of Lutzomyia subgenus Psychodopygus adult sand flies in the SOUTHCOM Neotropical region, with emphasis on medically important species. ADULT MALES KEY Author: Rueda, L. M. Identification key to the species of Lutzomyia subgenus Psychodopygus adult sand flies in the SOUTHCOM Neotropical region, with emphasis on medically important species. ADULT FEMALES KEY Author: Rueda, L. M. Identification key to the species of Lutzomyia subgenus Sciopemyia adult sand flies in the SOUTHCOM Neotropical region, with emphasis on medically important species. ADULT MALES KEY Author: Rueda, L. M. Identification key to the species of Lutzomyia subgenus Sciopemyia adult sand flies in the SOUTHCOM Neotropical region, with emphasis on medically important species. ADULT MALES KEY Author: Rueda, L. M. Identification key to the species of Lutzomyia subgenus Trichophoromyia adult male sand flies in the SOUTHCOM Neotropical region, with emphasis on medically important species. ADULT FEMALES KEY Author: Rueda, L. M. Identification key to the species of Lutzomyia subgenus Species Grp. Verrucarum adult sand flies in the SOUTHCOM Neotropical region, with emphasis on medically important species. 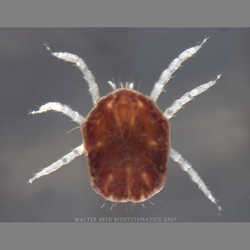 ADULT MALES KEY Author: Rueda, L. M. Identification key to the species of Lutzomyia subgenus Species Grp. Verrucarum adult sand flies in the SOUTHCOM Neotropical region, with emphasis on medically important species.